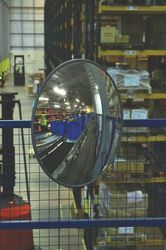 Internal and external acrylic convex mirrors with fully adjustable fixing brackets. For use in all situations i.e. security, safety, traffic surveillance, warehousing, car parks, retail business, road way (exit from drive to road) etc. Each mirror comes complete with wall mounting hardware and instructions for maximum viewing. Mat lock™ electronic safes provide peace of mind when protecting your valuables. They are sturdily built from high-grade steel with a neutral color paint finish. Mat lock? electronic safes are the ultimate in convenience, each safe is equipped with a motorised electronic double bolt lock that can be programmed with a 3 to 8 digit code, an LED display clearly shows the operational status of the lock. Battery condition is also indicated, but should the battery fail before being replaced, an emergency key override is supplied. Every Mat lock? 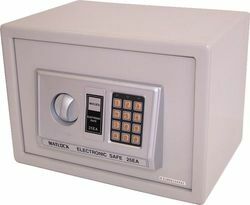 electronic safe is supplied complete with mounting bolts, 1 fixed shelf, 4x AA batteries and has a carpeted internal floor. Internal: (H)240 x (W)340 x (D)195mm. External: (H)250 x (W)350 x (D)250mm. Avon Q-Lite the innovative pre-stretched film makes wrapping pallets easier and more efficient. There is no need to stretch the film to get maximum load holding. Operators will appreciate the ease of which Q-Lite can be applied. Q-Lite allows you to reduce waste, as the characteristics of the film mean that lost and broken ends (edge hang-up) are virtually eliminated and the film can be used to the very end of the roll. Looking for Office Suppliers And Stationary ?